Is Eating Too Little Salt Risky? New Report Raises Questions : The Salt A low-sodium diet may cause more health problems than a medium-sodium diet, a new report found. But some health advocates say focusing on the potential risks of a low-sodium diet distracts from the more important conversation about how to get Americans to start consuming less salt. Americans are repeatedly told to cut back on salt to reduce the risk of heart disease. But there are new questions being raised about the possible risks of reducing sodium too much. So, how low should we go? Currently, the government recommends that Americans should aim for 2,300 milligrams per day. And people older than 50, as well as those with high blood pressure, diabetes or kidney disease are advised to reduce sodium even further, down to 1,500 mg per day. But a panel of experts convened by the Institute of Medicine concludes in a new report that "the evidence on direct health outcomes does not support recommendations to lower sodium intake ... to or even below 1,500 mg per day." Why? We asked the committee chairman, Brian Strom, a dean and professor of public health at the University of Pennsylvania, to summarize the panel's findings for us. "The net conclusion is that people who are eating too much sodium should lower their sodium, but it is possible that if you lower it too much you may do harm." Strom says a lot more research is needed to better understand how ultra-low-sodium diets may be beneficial or harmful. 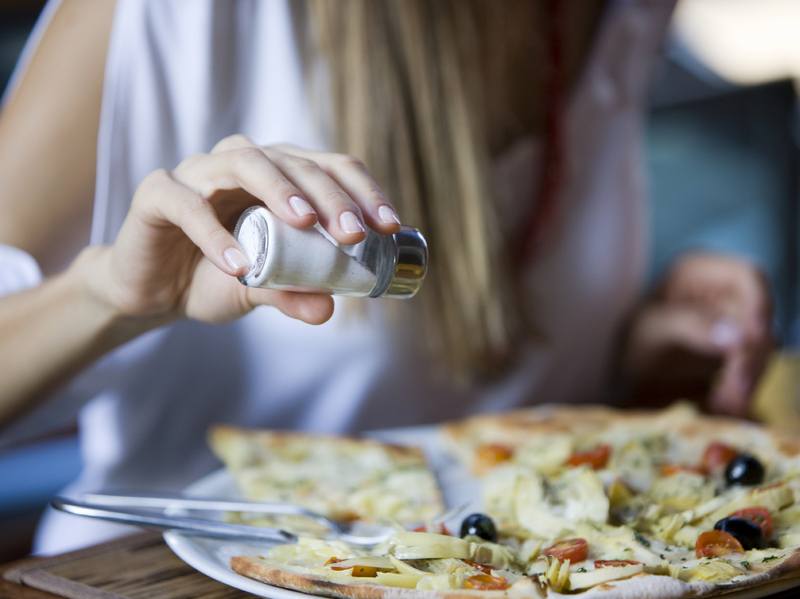 Strom pointed to an Italian study of people with congestive heart failure as an example of research that has hinted that diets too low in sodium may be problematic for certain people. "The people on the low-sodium diet actually did worse [compared to those on medium-sodium diets]," says Strom. "They had more hospital re-admissions and they had a higher mortality rate." He says it's unclear if the results would be the same for Americans with congestive heart failure, since treatments here are different than they are in Italy. But, he says, the findings raise questions. The American Heart Association, which recommends a low-sodium (1,500 mg) diet for all Americans, released a statement stating that it disagrees with the key findings of the new report. And some preventive health experts are critical, too. The World Health Organization has concluded that elevated blood pressure is the leading cause of preventable death, which suggests that staving off high blood pressure with low-sodium diets is an important strategy. "Sodium reduction remains a critically important component of public health efforts designed to ... prevent cardiovascular disease," Lawrence Appel of Johns Hopkins University writes in an email. Appel points out that the studies that suggest that low-sodium diets are harmful tend to focus on "sick populations in which illness leads to low sodium intake rather than the reverse." Some groups of Americans, including older adults and African-Americans, are especially sensitive to the blood-pressure lowering effects of cutting sodium, Appel says. So the strategy of aiming for low-salt diets has "tremendous potential to reduce racial disparities in blood pressure-related cardiovascular disease." The bottom line, according to Bonnie Liebman, director of nutrition for the Center for Science in the Public Interest, is that Americans are eating way too much salt, on average about 3,400 milligrams a day. "And we know that much is harmful," she says. "It increases blood pressure, which increases the risk of heart attack and stroke." And she says focusing on the potential risks of a very-low-sodium diet distracts from the more important conversation about how to get Americans to start consuming less. To better understand just how much salt is found in the typical lunch out, I met Liebman at a food court. Our first stop was McDonalds, where it turns out burgers have about twice as much salt as the fries: 1,000 mg, and up to 2,000 if you get the Angus bacon burger, Liebman says. So even though the new study raises questions about potential harms of ultra-low-sodium diets, with a food supply like ours, most of us consume way too much salt, not too little.